Activist Meng Han is on trial this week in China. 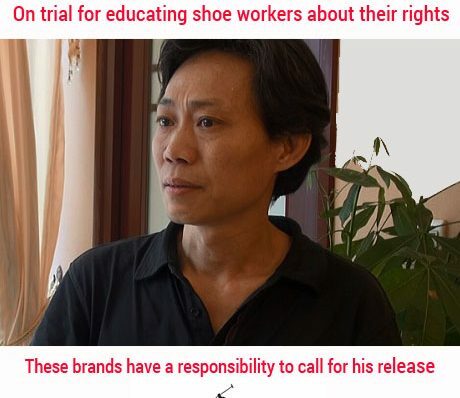 He was arrested in December 2015 for educating workers about their rights at the Lide Shoe Factory in Guangdong. Brands who source from the factory have a responsibility to their workers. 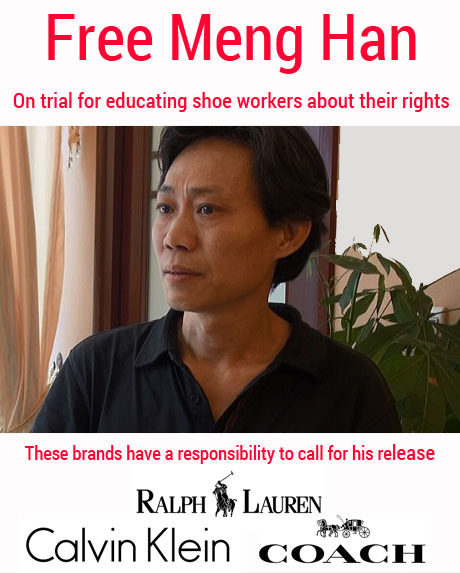 We’re calling on Calvin Klein, Coast and Ralph Lauren to contact the Chinese government and ask them to release Meng Han and stop the suppression of workers’ rights. Get involved on facebook and twitter this week: take action and call on these brands to do the right thing.